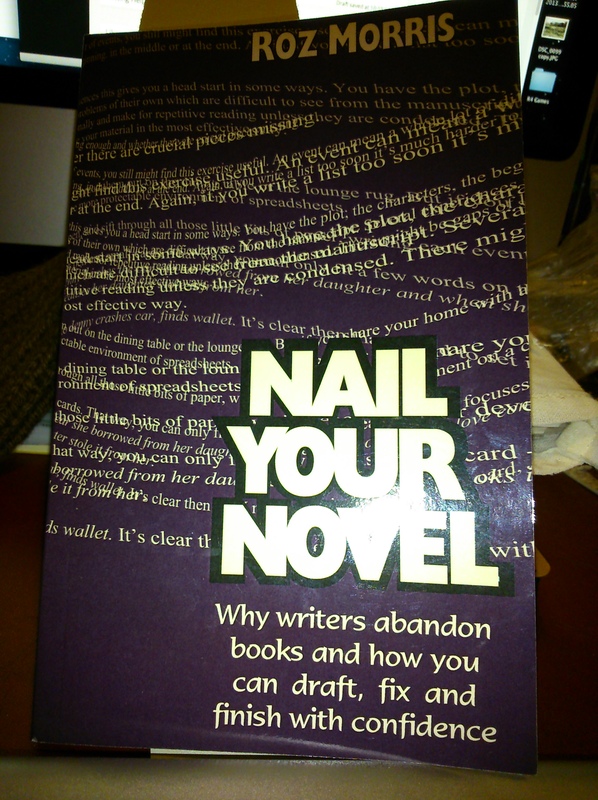 I recently received a book to review: Nail Your Novel by Roz Morris. Now, I should quickly state that I don’t know this lady, except as a delightful correspondent on Twitter, so anything that follows you can assume is not biased. It is one of those books that will work for a lot of people. It’s friendly, accessible, with a bunch of good ideas. Especially when she is talking about writing a novel. She has a number of little tricks which help get the writer on the way. Particularly useful, I reckon, are her parts on identifying problems and getting the plot moving again. There are issues – for me. But I am unique, because I’m editing my 33rd novel right now. I’ve got a certain amount of experience with the job. The main thing I was not happy about was the rather gung-ho writing style. It’s definitely a “you can do this” book, and it occasionally irritated me in the same way as self-help titles on selling, on personal achievement, or on management used to really grate with me. They set my teeth on edge when I see paragraphs filling a page, each of which is a single sentence. However, this book was written with the intention of going into ebook, and if people pay for a real paper book, they expect pages to be filled. So, there are reasons for this. If I had a gripe, it would be that the book does give the reader the impression that before long anyone can be writing their story and earning a fortune. It’s not that Roz says so, but she has written a very motivational book, and that’s an impression that will last. However, that’s a function of books like this. When I started out, I read a superb book called “Writing for Pleasure and Profit”. It was written by a man who had spent time as an editor, then agent, then author, and he gave solid, firm advice on how to write – especially covering “what not to do” sections. I loved that book and used to dip into it as I progressed as a writer, until one day I lent it to a friend who has lost it. Not the action of a friend, no, and no – I won’t lend him another book, tape or anything else, ever again. However, it’s a pretty high accolade that I can see myself dipping into Roz’s book in the future. There are too many little points in there that act as aide-memoirs to people who are writing. And no one has a monopoly on common-sense when it comes to writing. 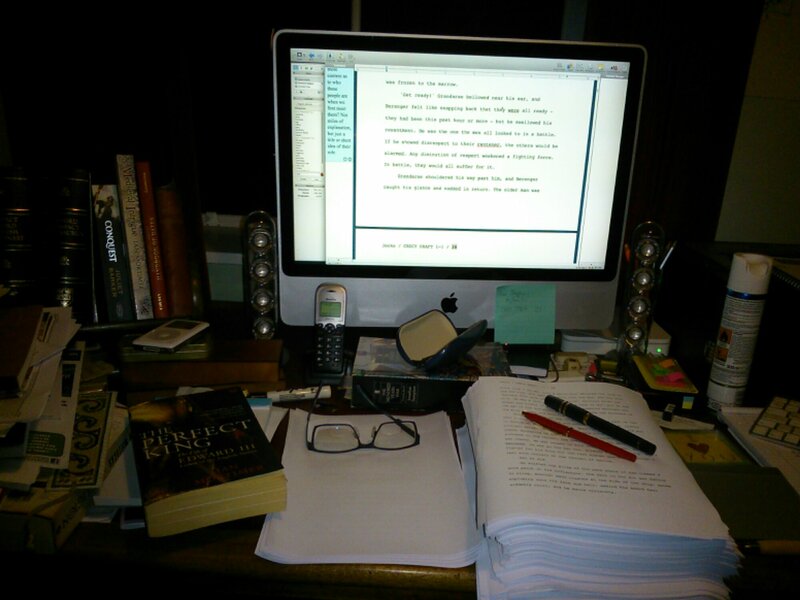 While I am talking about writing, I should just say that I am still editing my latest. The edit is taking longer because I have to work through a couple of narrative issues: mainly there is an imbalance in the story – too much about the first half of the campaign, and not enough about the end. This shouldn’t be a problem, but when writing about real events, it makes things more difficult. Do I leave out a specific battle and make passing mention of it in a flashback, or do I stick with that but remove mention of another battle? Should I leave in the gunner’s boy, or bring him in more to elevate his position in the plot? It’s the sort of edit that gives me headaches, but it will make the story infinitely better in the end. And again, I cannot leave this without saying that it is this kind of work that demonstrates yet again why it is so essential to have a good editor. Mine has a mind like a steel trap when it comes to analysing stories and plots. Thank God! But with the edit and the read of Roz’s book, I’ve had another idea. I’m going to contact some of my friends in the writing community to ask them specific questions about their writings, their motivations, their tricks of the trade, and any little hints they can give to aspiring writers. I think this should be rather useful, and will hopefully help a lot of people trying to write, and more to the point, it will make for interesting reading for me as well as other people. One final note. Last week I missed my own deadline for my blog. Apologies for that. I lost a very dear friend on Saturday. About fifteen years ago, I was fortunate enough to meet a lovely lady called Dot Lumley. She was an agent, and to my astonishment, she had chosen to based herself down in deepest Devon, not far from me, rather than the literary world of London. I had an excellent agent already, and didn’t need her services, but I was happy to recommend her to friends in the area, and a few were taken on by her. Later, when Medieval Murderers decided to go mainstream and actually write a book, rather than talking about their own books at events, we put our project to many agents, and Dot took us on. She was unfailingly efficient, organised, keen and enthusiastic about our books, and never mucked up her sums – which since she had different authors in each book, with differing shares of royalties per title, and the added confusion of multiple countries and languages, was itself little short of miraculous. Earlier this year we heard that she had developed cancer, but from talking to her, one could not have noticed. This year Medieval Murderers have written our tenth anniversary title, and we are dedicating the book to Dot. We had hoped to be able to tell her this and show her the draft, but to my own very great personal sadness, Dot succumbed to her cancer and passed away last Saturday. Dot Lumley was a delight to work with and to socialise with. She was a wonderful lady, and I know I speak for all her clients and friends when I say that she will be hugely missed. I’m so sorry to hear of your loss of Dot. Cancer is an evil illness that takes indiscriminately. Cherish your memories. They can’t be taken. Many thanks, Rebecca. It’s very hard, but I guess I’m getting to an age where it’s all too common now, sadly. Appreciate your comments.